Charles J. Moxley, Jr., Esq. 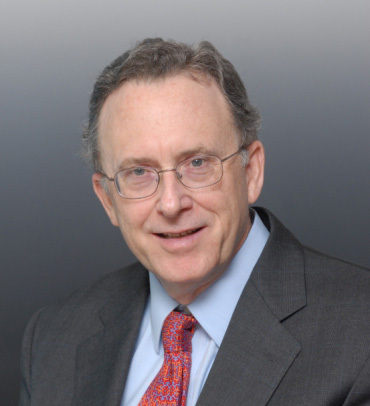 Charles J. Moxley, Jr. is a widely recognized litigator, arbitrator and mediator. He is an Adjunct Professor of Law at Fordham Law School, the Distinguished ADR Practitioner in Residence at Benjamin N. Cardozo School of Law, a Fellow of the College of Commercial Arbitrators and of the Chartered Institute of Arbitrators, and Chair Elect of the Dispute Resolution Section of the New York State Bar Association. Mr. Moxley has been a litigator handling large securities, insurance, commercial, corporate and other cases in federal and state courts throughout the United States for over 35 years, as well as performing arbitration and appellate work. The focus of Mr. Moxley’s practice is on complex matters involving high stakes, multiple parties, intricate factual and legal issues, scores of witnesses, and voluminous exhibits. Clients have included individuals and closely held and public corporations, including securities and hedge firms, insurance companies, accounting firms, and banks, as well as government officials and departments. Mr. Moxley has broad experience with financial, accounting, insurance, and securities issues. He is AV rated (Martindale Hubbell). Mr. Moxley’s practice over the years has been fairly evenly divided between representing plaintiffs and defendants. Recent cases include the representation of a State Insurance Regulator, as the Liquidator of two insolvent insurance companies, in an action against former officers and directors and the former auditors of the two defunct companies, alleging deepening insolvency and other damages in excess of $140 million; representation of a large public insurance company in a securities fraud case against an insurance holding company (and related officers and directors) in which the client had invested funds; representation of a securities firm and associated entities in a FINRA arbitration in connection with customer claims arising out of market losses in late 2008 and early 2009. Mr. Moxley tried the FINRA arbitration in early 2010, obtaining the dismissal of all claims against his clients. Mr. Moxley’s experience as an arbitrator and mediator enables him to anticipate what will likely be important to judges and juries and to advocate authoritatively for approaches designed to achieve the expeditious and cost-effective resolution of litigated matters. Mr. Moxley applies a hands-on approach to his cases, personally performing a substantial portion of the discovery and trial work. In recent years, Mr. Moxley has been spending an increasing portion of his time as an arbitrator and mediator. He has served as arbitrator or mediator in over 200 cases, primarily in the commercial, securities, insurance, employment, and international areas. He is a member of arbitration and mediation panels of the American Arbitration Association (AAA), the International Institute for Conflict Prevention and Resolution (CPR), the U.S. Council of International Business (USCIB) for the ICC International Court of Arbitration, and Supreme Court, New York County (Commercial Division and Part 137), and of the arbitration panel of ARIAS-US. He also serves as an arbitrator and mediator in ad hoc cases. He is a Certified Arbitrator with ARIAS-U.S. and a Certified Mediator with the International Mediation Institute (IMI). “Selecting the Ideal Arbitrator,” DISPUTE RESOLUTION JOURNAL, American Arbitration Association, Aug.-Oct. 2005; book and articles on international law. “Selecting the Ideal Arbitrator,” American Arbitration Association, New York City, 2005. Mr. Moxley started his career as an associate at Davis Polk & Wardwell and thereafter was a member of several New York City law firms. He has also served as a law professor at St. John’s University School of Law and as an Adjunct Professor at New York Law School, teaching federal and New York practice, evidence, and professional responsibility, as well as currently teaching public international law at Fordham Law School. He has also served extensively as a special master in New York Supreme Court. Mr. Moxley is the author of Nuclear Weapons and International Law in the Post Cold War World (Austin & Winfield, 2000) (with Forewords by Robert S. McNamara, David W. Leebron, and Kosta Tsipis). Mr. Moxley’s pro bono activities have included service as Chair of the Independent Judicial Screening Committee for the designation of candidates for New York City Civil Judge. He is also a member of the board of the Lawyers’ Committee for Nuclear Policy and a former board member of the Lawyers Alliance for World Security. In addition, he has served as New York City Law Industry Chair for the March of Dimes Walkathon. Mr. Moxley also serves extensively as a mediator in the ADR program of the Commercial Division of Supreme Court, New York County, and as an arbitrator and mediator in Supreme Court, New York County, Part 137, in cases involving disputes between attorneys and their clients. During law school, Mr. Moxley served as Managing Editor of the Columbia Journal of Transnational Law. He then served as Law Clerk to the Hon. Thomas F. Croake of the U.S. District Court for the Southern District of New York.